Welcome to A-1 Automatic Transmission located in Weatherford, Texas. We have been serving Parker & Tarrant Counties since 1983 and we look forward to serving you. We specialize in all makes and models so you can feel confident when you bring us your vehicle. We pride ourselves in our relationship with the local community. We know our customers want quality work at an affodable price done in a timely manner and that's why we are still the Weatherford, Texas premier automotive transmission shop today after three decades. Come in today and let Billy Jones, the owner, give you a free estimate on your repairs of replacement. We believe in the one on one relationship with our customers and we look forward to meeting you. If you have any questions feel free to come by or give us a call anytime. Domestic and Foreign Bring your car to us, whether domestic or foreign it’s accepted. All makes and models are welcome here. All cars, whether foreign or domestic, should be able to get serviced all in one place. 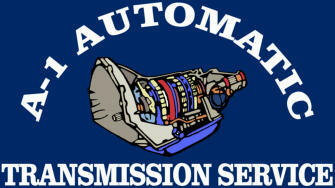 Full transmission service Your transmission will be completely serviced or replaced. A-1 Automatic Transmissions makes it affordable and convenient. Insurance and other forms of payment are welcome. You and your car are covered. Don't let problems get out of hand Small transmission problems have a way of getting bigger if you don't take care of them fast. Run all car issues by us and watch them fade away, before they become nightmares.